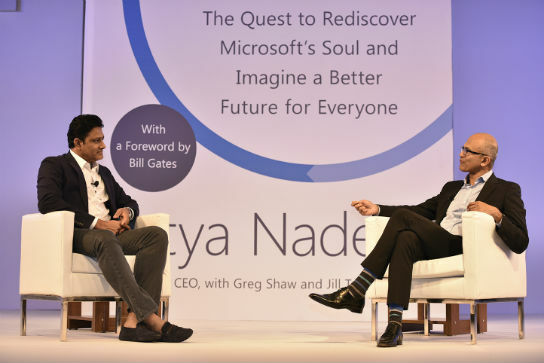 Mumbai: Satya Nadella, CEO,Microsofttoday talked about his book Hit Refresh with Indian cricket legend Anil Kumble at a special event hosted by Microsoft and HarperCollins India. The event featured conversations between the two on the ‘hit refresh’ moments that have transformed their lives. 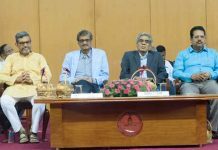 In addition, Satya shared his views on future technology trends that will impact society, and even the world of sports. In Hit Refresh, Satyadelves into three key technologies that will lead to massive shifts in our economy and society— mixed reality, artificial intelligence, and quantum computing. These three currently independent threads will ultimately converge in the future where quantum computing will make artificial intelligence more intelligent and mixedreality an even more immersive experience. He also explores the values, ethics, policies, and economics that need to be considered in preparation forthis next wave. The event also sawVivek Prabhakar, Founder and CEO at Chumbak Design Pvt. Ltd., Vishal Gondal, Founder and CEO, GOQii,and Swati Bhargava, Co-founder, CashKaro.com & Pouring Pounds Ltd., discuss their own life defining‘hit refresh’ moments that helped them create some of the most successful start-ups in India.